‘But without faith it is impossible to please Him, for he who comes to God must believe that He is, and that He is a rewarder of those who diligently seek Him. ‘By faith Noah, being divinely warned of things not yet seen, moved with godly fear, prepared an ark for the saving of his household, by which he condemned the world and became heir of the righteousness which is according to faith. ‘For those who say such things declare plainly that they seek a homeland. And truly if they had called to mind that country from which they had come out, they would have had opportunity to return. At an inter-stream conference in March 2011 in Winchester, King Alfred’s capital of Saxon England, the Lord drew my attention to the unwritten book hiding behind my Bible’s back cover! That is, it comes after The Apocalypse, or Revelation, given to Jesus Christ for showing to and recording by His close disciple, the Apostle John. As noted in Revival 1: glory stories, I sensed in worship that the Lord wants me to focus upon the eventual new earth and new heavens, especially the appearance from heaven of The New Jerusalem. That is, to not only be involved in and understand the times of His return, but also and more importantly to focus upon His ultimate aim for the Church, as in Revelation 21-22 and its implicit existence and purpose beyond the Bible’s cover! That pre-blog email recounts subsequent encouragements for understanding that this all relates to ‘The Age to Come’. 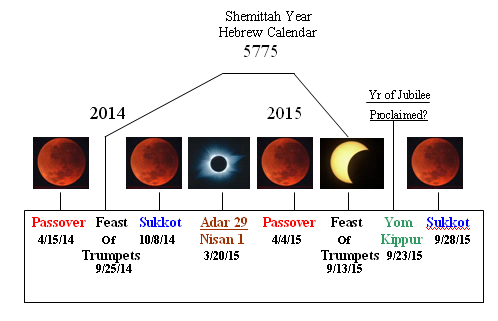 Monday morning’s event was the fourth consecutive eclipse occurring on the first and last Jewish feast days on two subsequent years, as in the above chart by pastor Mark Biltz. So he described them as a ‘Blood Moon Tetrad’. I recall his friend William Koenig referring to their discussions of 2007-8 on this, contrary to John Hagee’s false claims of later discovery; as disclosed here. Mark’s research into NASA’s astronomical data may be read in Blood Moons: Adding Up The Evidence. 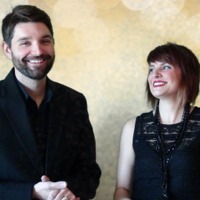 How that conference started after worship is told in A vision: Sowing into the Kingdom of God. Whilst amazed at what I’d seen, I heard him refer to blood moons and correct the public misunderstanding gained from some sensationalist American journalism. As reported earlier, he believes Monday’s 4th blood moon marks the beginning of the time the Army of God will start appearing. “It leads to 23rd September 2017, which reveals something very special that we’re going to hear a lot about in coming days. To indicate what he means by this – and its spiritual importance – Charlie referred to God making Moses ‘as a god to pharaoh’ (Exodus 7). “So along with that revealing is a testing period…an emerging of a generation, which I believe that God is offering to everybody, but there will be a company that actually walk into this! In answering his “Why September 23rd 2017?” I’d have told of its personal significance. Instead, he answers by talking about the prophet Daniel, whom he thinks could enter the ‘heavens’ and live in the future. There, he learnt about astronomical events for the time appointed for the Messiah’s birth in Bethlehem. Accordingly, Daniel could see that ‘star’ and bequeathed this knowledge to his school of Magi, as well as arranged in advance for them to present specific gifts to the Christ-child. That is, Daniel was living in and operating out of the Glory of God within ‘The Age to Come’! 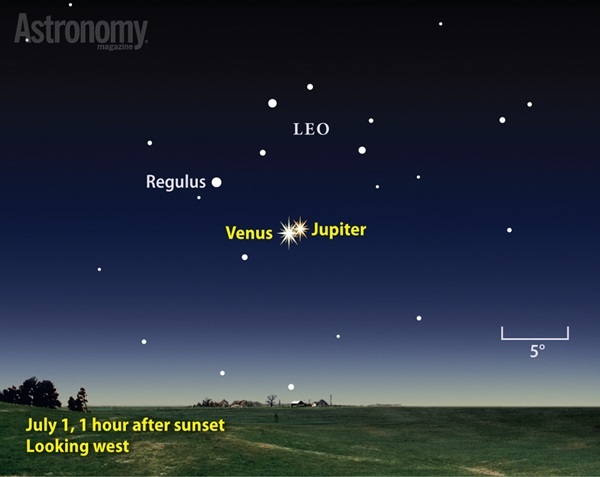 UPDATE: for details and significance of Venus-Jupiter conjunctions in 2015 see Nelson Walters’ post on Star of Bethlehem Repeats Again This Week in The Gospel in the End Times. It’s interesting that this biblically erudite blogger whose work I’ve previously drawn attention to, appreciates the importance of astronomical events. Another of Charlie’s comments that plugged into what I’d done only recently was his saying the Jewish Temple had two spiral stairways. 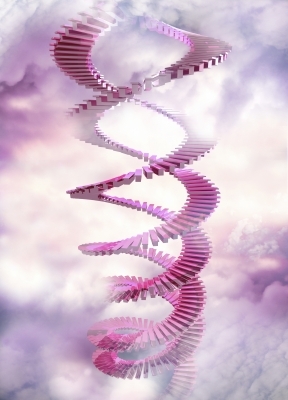 This reminded me of my selecting the image of a double-spiral and describing a spiral staircase to depict the corkscrew nature of Time itself in The ‘Endgame’ gets ramped up another level. That was a sensitive week or so in blogging, as explained in the subsequent part 2, to which this post acts as a successor. Next > Meditative scripture leading into Neville Johnson on post-Tetrad new era. Background reading: for an introduction to this subject read Passover and Blood-red Moons and 500th post: review and ‘blood moons’ cont’d. This entry was posted in Astronomy, End-Times, News, Prophetic, The Bride and tagged Age-to-Come, Blood Moons, Daniel, New Season, Prophecy-today, Sept2015, Shamp by Richard Barker. Bookmark the permalink. Thanks Tony – most interesting (your search facility’s helpful). The April one reminds me of last year (?) when we watched Neville Johnson recount his wife’s vision of the your flag being covered in blood. Upon hearing him Nina burst out in pained weeping as her spirit reacted with Holy Spirit. A total lunar eclipse combined with a supermoon, which briefly appeared shaded deep red and thus produced a so-called “Blood Moon” was visible in Jerusalem early in the morning Monday. The phenomenon caused a sensation on social media, with thousands of pictures posted. Was that the April one? No, today’s – I too thought they may have missed it according to the map I linked in previous post. But I recalled others having said some time ago this last eclipse was expected to be seen as a supermoon over Jerusalem. You could check the media ICEJ refers to. Will forward for your info. Nina’s making tikka chicken curry for dinner so am soon signing-off for today. Thanks for chat. The one I was speaking of was the one in April of this year. Do you recall if it was seen in Israel? Sorry but that wasn’t clear. I don’t think so as I thought at least the final one is expected to be. Some of the sites I visited gave good tracking info so suggest you ‘google’ – its 1st page gave me those astronomical sites.